Buy online ADS1115 ADC Module in India at low price from DNA Technology, Nashik. Want to measure precise analog values? 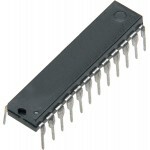 ADS 1115 ADC Module will help you in doing so. It is a 16-bit ADC with I2C interface and can be used to measure four single channel inputs or two differential channels. 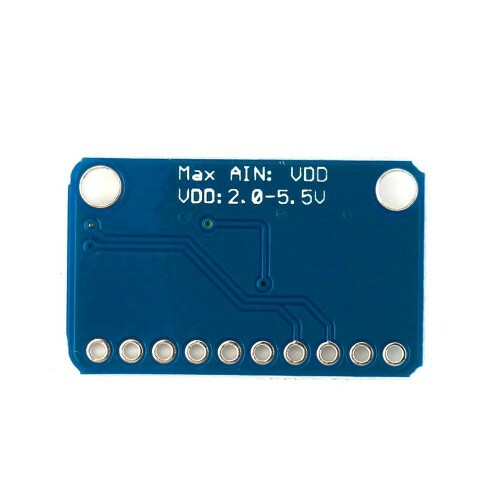 This module can be used with any Microcontroller, Arduino as well as with raspberry Pi. AD7730 24-Bit Sigma-Delta, Bridge Transducer ADC for Load Cell ApplicationsThe AD7730 is a comp..
ADS1118 ADC ModuleThis module is based on ADC1118 IC a 16-bit ADC IC by Texas Instruments. This modu..
ADS1256 24bit 8channel ADC ModuleADS1256 from Texas Instruments is a 24-bit, 30 KSPS 8 channel Delta..
ADS1015 ADC 12 Bit Amplifier 4 Channel Converter ModuleThis ADC Module is based on ADS10115 which is..